Do you have a story to tell? 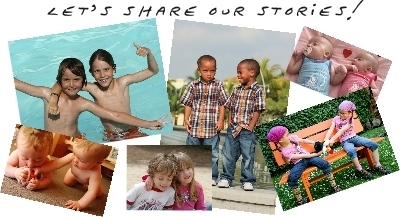 We encourage our visitors to read and share personal stories about twins. Tell us about any experience from twin pregnancy to parenting and beyond...Happy, sad, complicated, inspiring, funny, etc. We want to know about your unique take on twins. You don't even have to be a mom or dad of twins. 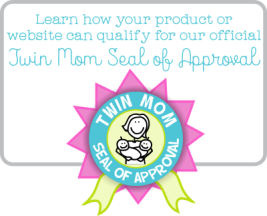 Maybe you're a grandparent, cousin, or friend of twins that has something to contribute. The cool thing is, you will actually get to create your very own page! Just fill out the form below and you're on your way. Feel free to add a photo if you'd like, as well. We want to hear from you and so do other visitors! Don't feel like sharing? 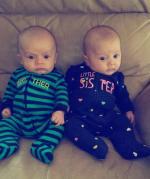 No problem, just scroll down to read other personal accounts about life with twins! Share Your Story About Twins! It's super easy to do and can be as long, short, or detailed as you wish. We can't wait to hear from you and appreciate you sharing with this wonderful community of twin parents, families, and friends! I'm a Twin and I Had Twin Girls...So Lucky! We Wanted Two More and Got Them...All at Once! Twin Birth - NOT as planned! 2 Years Wait For 2 Babies! 21 Years Old With 4 Under 4! Expecting My 3rd Set of Twins, All Naturall! Biggest Suprise Of My Life! Life's Complete With Twin Girls!